Gather, shop and play at one of South Africa’s longest running comic and games convention, ICON 2019! Expect a weekend jam-packed with pop culture, board gaming warfare, cosplay competitions and much more. Emperors Palace, 64 Jones Road, Kempton Park, Johannesburg. In case you didn’t know, ICON is South Africa’s longest running comics, gaming and popular culture convention. And this year, it will be taking place at Emperors Palace over three days! ICON provides only the best in pop culture retail and experiences, board gaming and tabletop warfare, cosplay competitions, national tournaments, educational panels, and, most of all, loads of fun! This is a must for all ages. Also, don’t miss out on the ICON Comedy Night on Saturday, 20 April 2019 for some sidesplitting humour. You MUST have an ICON Saturday or Weekend Pass to buy an ICON Comedy Night ticket. Also, they’ll be hosting the ICON Geek Quiz Night on Sunday, 21 April 2019. Tickets to this event will be sold separately, however you must have an ICON Sunday Day or Weekend Pass. Saturday, 20 April 2019: 09:00 – 18:00. Sunday, 21 April 2019: 09:00 – 18:00. Monday, 22 April 2019: 09:00 – 17:00. Tickets start from R65 per person and can be bought online at TixSA. For more information about this event, visit www.iconcgc.co.za. 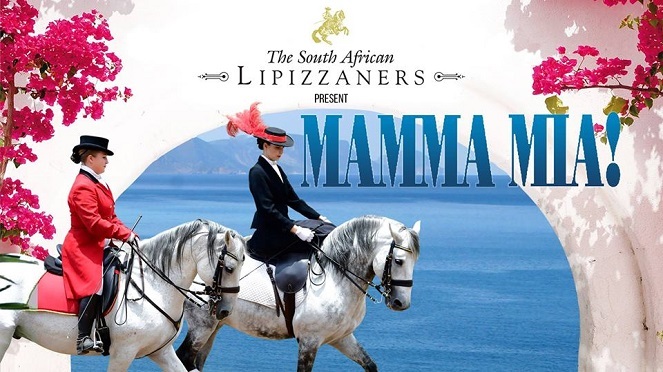 South African Lipizzaners Present Mamma Mia!